SAN FRANCISCO, Jan 28 (Reuters) - Death and taxes are the only things we can be sure of, the saying goes. As it turns out, preparing for our own death or making arrangements for a loved one, like preparing taxes, is being done more often online. San Francisco writer James A. Martin still remembers leaving the funeral parlor with his father's ashes in a brown cardboard box, a standard way of packaging cremated remains if an urn has not yet been purchased. "It was so undignified," Martin said. "Dad was a dignified Southern gentleman." When a close friend died last summer without leaving clear instructions on whether he wanted to be buried or cremated, Martin, who was marking the 10th anniversary of his father's passing, decided he needed to make some plans of his own. "I did not want my loved ones picking me up at a funeral home in a cardboard box," said Martin. He turned to the Internet for help. 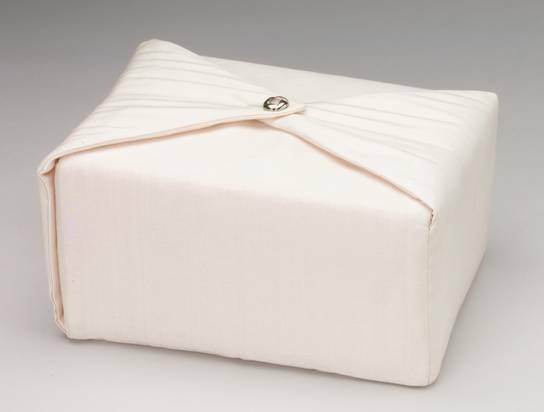 At California-based Renaissance Urn Co. (http://www.renaissanceurns.com), he found something that helped to ease his mind: A cream-colored silk cover, which one day will hold the box containing his remains. "It makes me feel so much better that I've got this product that will give me some dignity," said Martin, adding that, had it not been for the Internet, he would not have taken the time to make the rounds of funeral homes to find what he was looking for. Steve Palmer, owner of Westcott Funeral Home (http://westcottfuneralhome.com) in Cottonwood, Arizona, has run a Web site for two years. Palmer said he gets many questions via e-mail and that the Web can be very useful for gathering information before making a decision. He strongly suggests that people check out service providers, such as those who offer cremation, using state licensing Web sites or other means. "You have no idea who's on the other end," Palmer said. Several organizations publish free online guides for consumers who are beginning the funeral-planning process. The Federal Trade Commission offers "Funerals: A Consumer Guide" at http://www.ftc.gov/bcp/conline/pubs/services/funeral.pdf. AARP, a nonprofit group representing the interests of those aged 50 and up, offers a guide to funeral pricing and planning at http://www.aarp.org/griefandloss/articles/73_a.html. The Funeral Consumer Alliance's information can be found at http://www.funerals.org/. Palmer, who started in the business at 15 and is now 48, said the obituary section is the most popular on his site. There, visitors have the option of sending condolences or sharing fond memories with surviving family members by e-mail. Palmer handles all of the correspondence, weeding out mean-spirited messages or those from pranksters. Then, in a blend of tradition and technology, he prints the messages on fine stationery and sends them to the family. "I've seen some real special memories come across from people who probably would never have sat down and written them out in pen," said Palmer, who also has seen old family battles continue to rage online. Other sites offering online memorials include http://www.memorialsonline.com/ and http://www.eulogy.com/. Palmer said he also uses the Web to provide anonymous, 24-hour grief services for his clients. Such information is widely available on the Web from a variety of providers, including The American Cancer Society (http://www.cancer.org/docroot/MBC/MBC_4x_CopingGrief.asp?sitearea=MBC) and GriefNet.org (http://www.griefnet.org/). Martin said the Internet enabled him to take care of his biggest after-death concern by helping him find Renaissance Urn, which directed him to a funeral home carrying the company's fabric "urn sleeve," which comes with its own plastic box, in case one is not provided when he is cremated. "If it hadn't been for the Internet, I would have had to go from funeral home to funeral home. Who's going to do that?" Martin asked.